Bragolin is a Post-punk / Dark Wave band from Utrecht, The Netherlands. The band is lead by singer/guitarist Edwin van der Velde of Zwarte Poëzie. 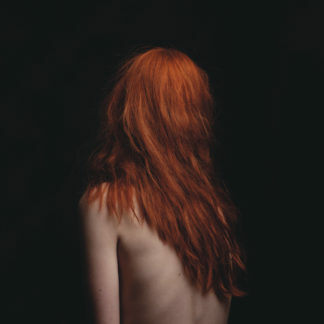 The music contains a mixture of bariton and shoegaze guitars, organ, synths and drummachines. First NL show in half a year and so far the only one planned for this year. Dear fans, we would like to share with you this unique offer. Together with Young & Cold Records we have an auction to sell the test pressing of our upcoming repress of "I Saw Nothing Good So I Left", it is to fund the Childrens home Institution in which our label is active. 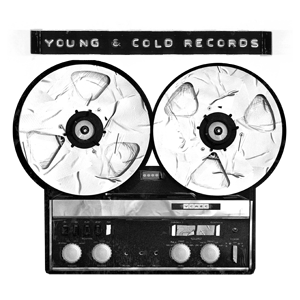 See Y&C's post below for more details and how to place a bid (please bid only in the original post by Young & Cold Records)! Bragolin and Young & Cold Records decided to auction off the only test pressing of the success album > I Saw Nothing Good So I Left < for social purposes! That concretely means the test pressing of the repress. We add 6 Euro to the auction amount. From 50 Euro on we even give you a copy of the first press! Please post your offer in the comments. 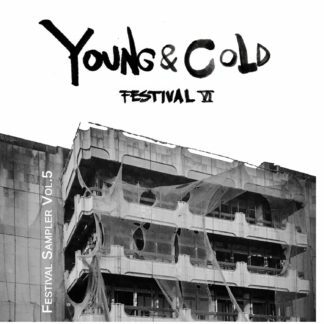 Bragolin und Young & Cold Records haben sich dazu entschlossen, die einzige Testpressung des Erfolgsalbums > I Saw Nothing Good So I Left < für gute Zwecke zu versteigern! Es handelt sich dabei um die Testpressung der Repress. Zuzüglich zum Auktionsbetrag kommen 6 Euro für den Versand. Ab 50 Euro fügen wir euch sogar eine Kopie der ersten Pressung hinzu! Bitte poste Dein Gebot in den Kommentaren. Der Erlös fließt zu 100% an ein Kinderheim!